looking for? Ask us for help! 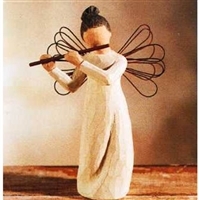 Offering Willow Tree Angel Figurines, Family Figurines & More! Give the gift of warmth and love with unique faith inspired figurines, ornaments, and decorations by K. Kannon Co. 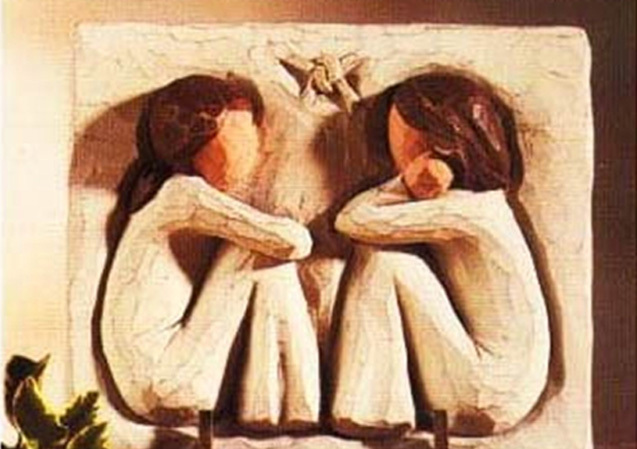 They feature an extensive selection of Willow Tree Figurines, nativities, and plaques to commemorate every special occasion, or to brighten a home with empowering messages of hope. Fill your home with tokens of faith and God's light with Willow Tree Angel figurines, plaques, and nativity figures. Willow Tree Angel figurines possess a unique allure that has captured the hearts and attention of collectors everywhere, with a menagerie of uplifting themes and messages of hope and love to celebrate and commemorate every occasion. Each figurine arrives in an individual, custom package with its own unique message to add a personal touch to these charming keepsakes. K. Kannon Co. will work with you to select the perfect figurine for every celebration, holiday, or special occasion, and are happy to ship anywhere in the United States. 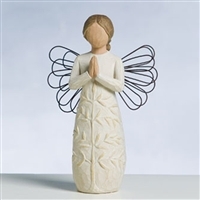 Browse our site for a small selection of available Willow Tree Angel figurines, or visit our Contact Us page for help finding that perfect gift.